House prices in Canada's eleven major cities rose slightly by 0.51% in 2018 from a year earlier, a sharp slowdown from last year’s 6.92% growth. In fact, it was the first y-o-y decline since 2008. Quarter-on-quarter, house prices declined 0.73% in Q4 2018. Actual sales activity plunged by 19% in December 2018 from a year earlier, according to the Canadian Real Estate Association (CREA). For the whole year of 2018, sales were estimated to have fallen by 11.2% y-o-y to 458,200 units, led by declines in activity in British Columbia and Ontario. Likewise, dwelling starts fell by 3.1% y-o-y to 212,843 units in 2018, based on figures from the Canada Mortgage and Housing Corporation (CMHC). In October 2017, the Office of the Superintendent of Financial Institutions (OSFI) announced that lenders are now required to test borrowers’ ability to pay higher interest rate than the one they have actually been offered, to test their creditworthiness if borrowing costs rise. The new measures, which came into effect on January 1, 2018, apply to all federally regulated financial institutions. 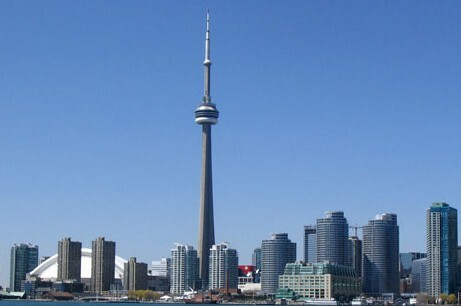 Toronto apartment costs are around $9,409 per sq.m. The Canadian economy was estimated to have expanded by 2.1% in 2018, a slowdown from the preceding year’s 3% growth, mainly due to its ailing oil and gas industry. Bank of Canada expects economic growth to slow further to 1.7% this year before partially rebounding to 2.1% in 2020. In October 2018, the Bank of Canada (BoC) raised its key rate by 25 basis points to 1.75%, after raising it four times since July 2017, in an effort to keep inflation near target. The key rate had been raised by 25 basis points each in July 2017, in September 2017, in January 2018 and in July 2018.